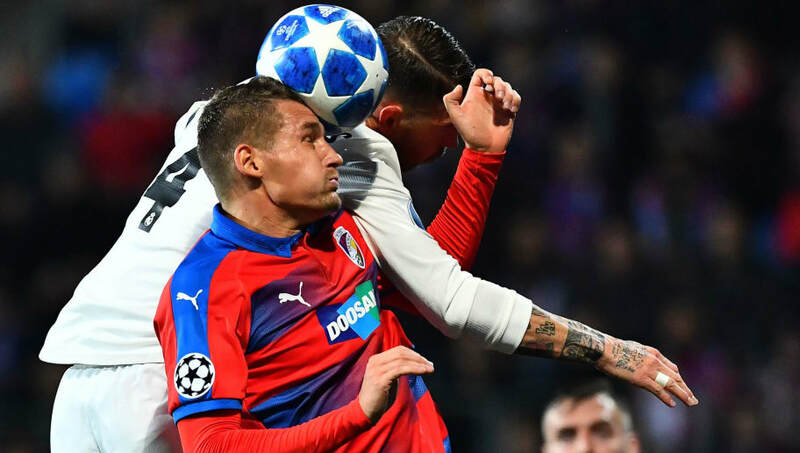 ​​Real Madrid's captain and defender Sergio Ramos has apologised for giving a bloody nose to Viktoria Plzen midfielder Milan Haven when the pair clashed during their Champions League group game. Ramos elbowed Haven in the nose, leaving the Czech Republic player with a bloody nose, prompting fans to take to social media to complain about the Spaniard's aggressiveness on the pitch. The player has now come out and apologised for the incident, considering he is also blamed for Mohamed Salah's shoulder injury in the Champions League final last season. "I wasn't expected to come out and talk but I went to find Milan in the changing room and he wasn't there because he's already gone to undergo tests. It was an action which happened so quickly. There's contact but there wasn't any intention to hurt a fellow footballer. The nose is very delicate, I've suffered from it myself, and any hit can cause a lot of bleeding. I hope that he recovers as soon as possible," Ramos said, according to ​Sport. "When you've been playing at a top level for such a long time, being the captain of your country and Real Madrid, you're always in the spotlight. Throughout my career I've dealt with criticism well and I'm not going to change. We all make mistakes and learn from them but I am what I am and that's what has helped me achieve what I have," added Ramos. "What happened with Salah stays with me, knowing the repercussions it could have, and now I think about things 30 times over. But I'm not going to change the way I play because it's been key to my success. I've never gone out with the intention to hurt a fellow professional and I've had my nose broken three times." Ramos has won the World Cup and multiple Champions League and La Liga titles with Spain and Real Madrid playing the way he does, so it is unlikely he will change his style so late in his career.